This is Brookmere, there are still a lot of residences here. The house shown in the pictures was the residence of Harry Fontaine and was a museum. Harry Fontaine passed away a several years ago and his collection of Railroad equipment disappeared shortly thereafter. At first I had thought this to be the original KVR station, although it bore little resemblence to the GNR stations found elsewhere. It turns out that the original station burned down many years ago. Thanks to Don McKay for setting the record straight. I have since obtained pictures of the original GNR railway station and will be adding them to this page as part of the updating of the website. 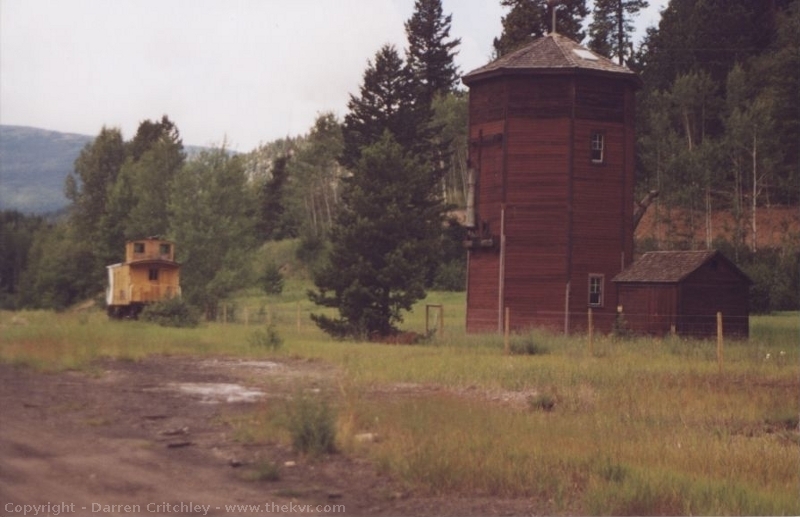 The water tower at Brookmere is the last surviving water tower on the Kettle Valley Railroad. It has been moved off of its foundations on to private property. 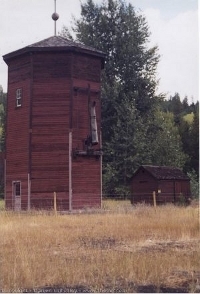 It is also one of the most unique water towers that one can find, mainly due to the double funnels on it. One side was for the KVR and the other side was for the GNR. It seems the track from here to Princeton was a shared endeavor with the GNR. 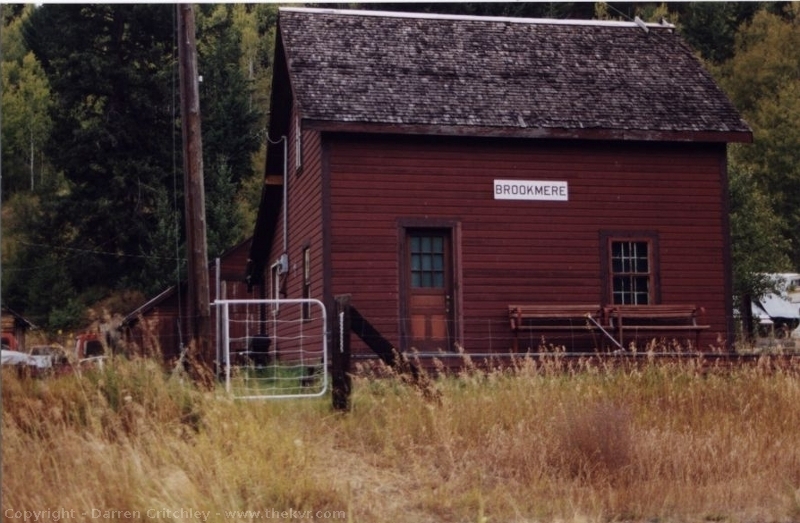 At Princeton the Kettle Valley Railway ended, other than a spur line to Copper Mountain. The GNR continued on towards Keremeos, crossed the Red Bridge outside of town and head south toward Spokane. 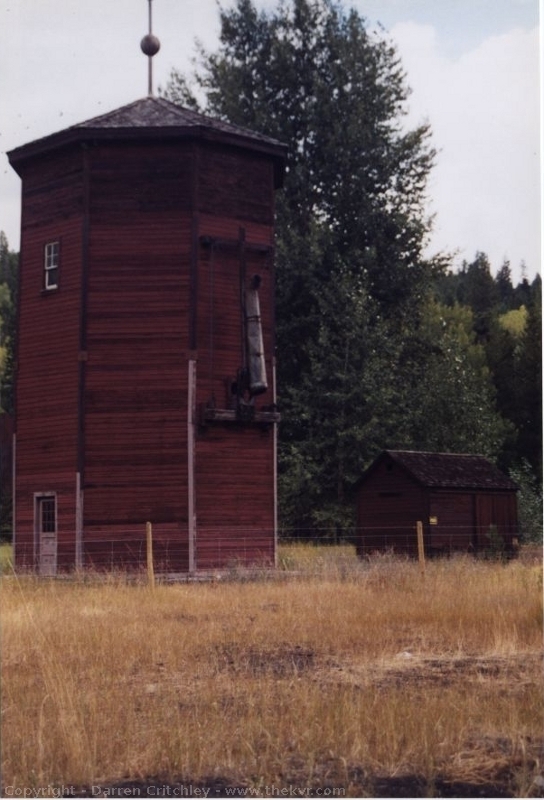 Below are some pictures of the water tower, click on an image to see a larger image. 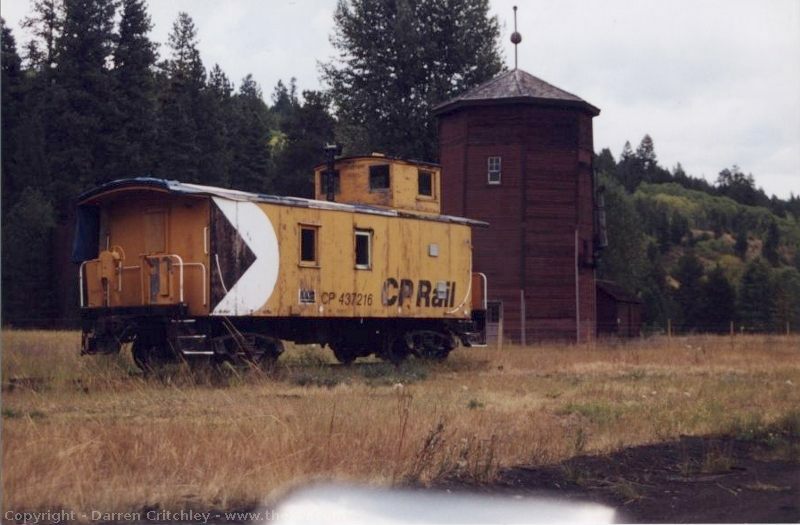 The Caboose in these pictures has since been restored by local rail enthusiasts. equipment near the house in the picture seems to have disappeared. It seems that almost everytime I visited here, it rained. The watertower picture actually took three trips to get one without rain! 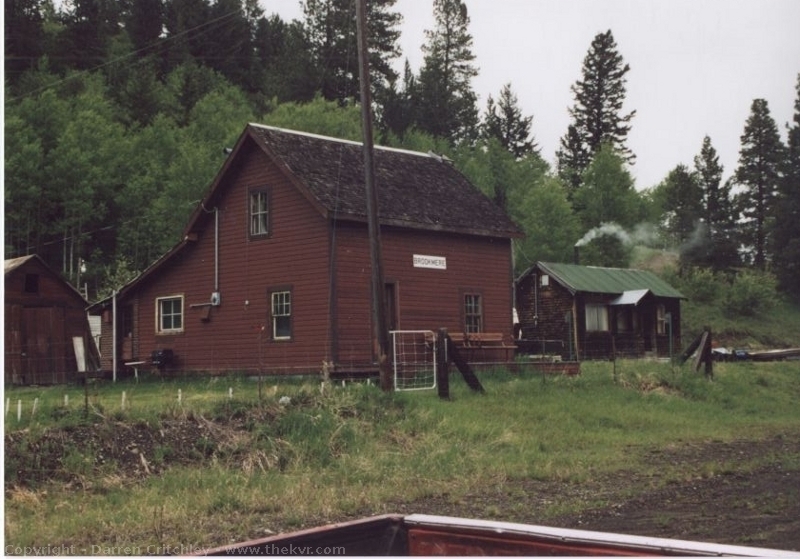 The disappearance of the equipment and the complete destruction of Kingsvale just down the hill from Brookmere is another example of how our heritage and the history of the Kettle Valley Railway and the CPR in BC is being slowly lost over time. Since starting my travels on the KVR back in the late 90’s, much has disappeared, fallen into rivers, or been destroyed by vandals.